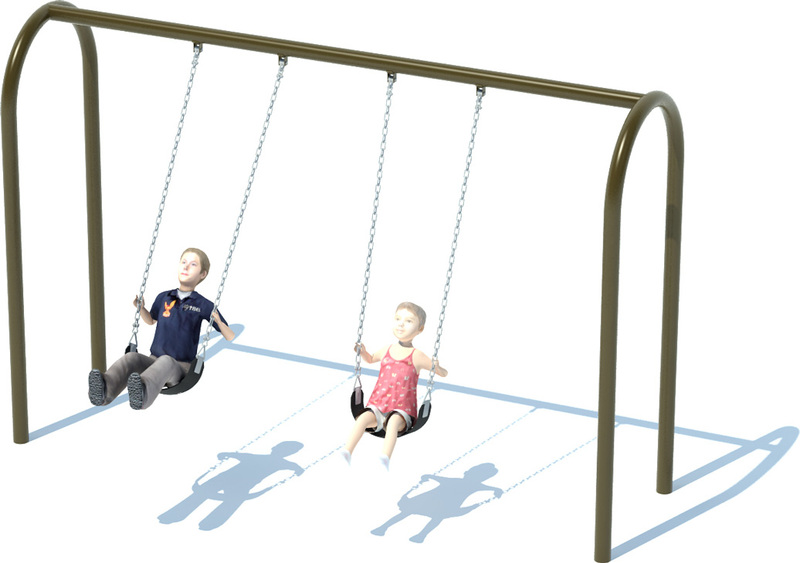 No park or playground is complete without a swing set! This architecturally styled 8' Arch Swing Frame is more than a simple swing set. The 3.5" arches and 2-3/8" top bars are constructed with high-quality steel to ensure safety during fun for up to 2 children. The powder coating with your choice of available colors for the posts and seats with galvanized steel chains is this perfect finishing touch to match your playground.